How does your SaaS business stack up? To help these companies we’re releasing, for the second year in a row, a massive data set (you can read last year’s report here) that takes a look at what does and doesn’t work when it comes to efficiently growing a SaaS company. 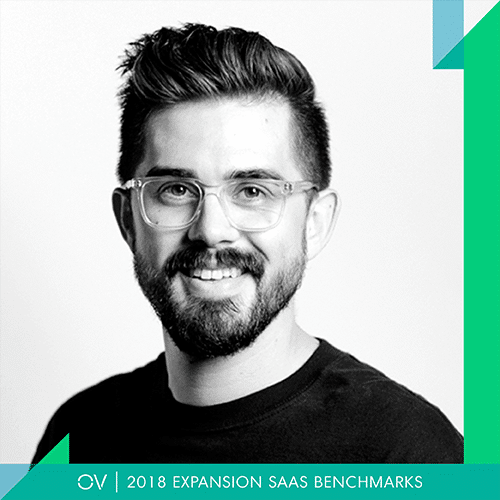 This year, we placed special emphasis on the explosion of product led growth – a go-to-market strategy that underpins some of today’s most successful businesses including Atlassian, Dropbox and Expensify. Companies with a product led growth (PLG) strategy exhibit unique financial and operating characteristics like rapid scalability, economic efficiency and outsized investment in technology that enable them to grow at more efficient rates (but more on PLG later). This report was written and compiled by Kyle Poyar, Sean Fanning and Gail Axelrod. For questions, comments or to participate in next year’s survey, please email Kyle Poyar at kyle@ov.vc. 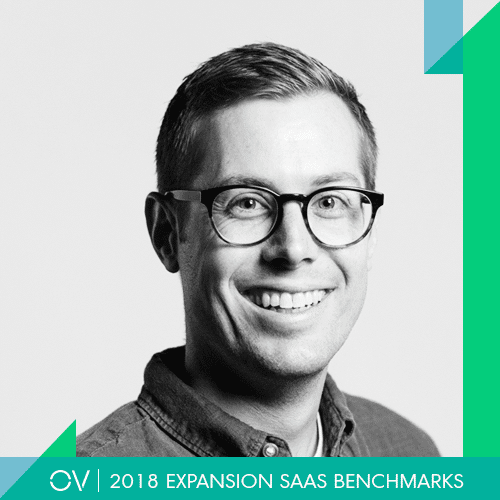 The 2018 Expansion SaaS Benchmarks survey was designed to help operators compare themselves to their exact peers (not just a handful of unicorns) in order to make the best investments moving forward. We’re happy to share that this year’s survey was our biggest yet, thanks in no small part to our amazing partners. Special thanks to our survey partner, University of Toronto Impact Centre, which compiled an interactive visualization of the 2018 data here. Over 400 companies participated in this year’s survey, ranging from pre-revenue to $50M+ ARR, with more than 40% of respondents coming from outside the US. Respondents were predominantly the CEO/Founder (47%) or Head of Finance (23%). The bar is higher than ever to succeed. SaaS is ubiquitous. Salesforce, which turns 20 in February, generates $10B+ in revenue annually. ServiceNow, Workday, Athenahealth and Dropbox all exceeded $1B in revenue last year while Ultimate, LogMeIn and Shopify are expected to join the club by the end of this year. This begs the question: how much room is left for emerging companies? 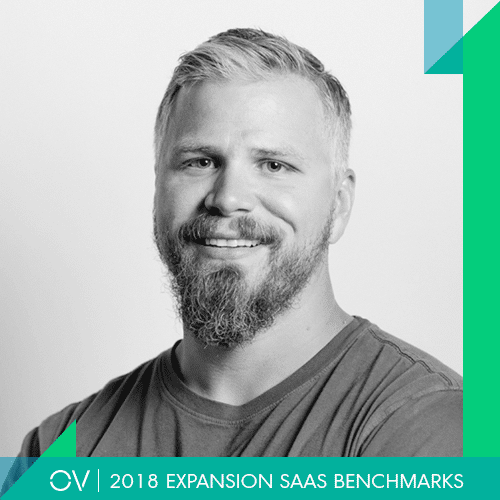 True, it’s harder for new SaaS companies to gain initial traction – the median growth rate of companies with $1-2.5M in ARR contracted from 100% to 64% in just the last year. That’s because competition for customers is more intense than ever: SaaS companies report having 9 competitors on average, up from just 2 back in 2013. At the same time, customers are harder to reach as marketing channels like content, paid search and outbound BD have all become saturated. But companies that do manage to break through are growing faster than ever, and venture capital funding is becoming increasingly concentrated in the best performing companies. Data from Pitchbook shows that the median Series B check size is more than double what it was in 2012, while the median Series D is two and a half times that of 2012. We’ve also seen an explosion of SaaS IPOs already in 2018 including Docusign (NASDAQ: DOCU), Dropbox (NASDAQ: DBX), Pivotal (NYSE: PVTL), Pluralsight (NASDAQ: PS), Smartsheet (NYSE: SMAR) and Zuora (NYSE: ZUO). The basket of IPOs has been successful to boot, collectively representing $38.2B in enterprise value upon IPO (3.5x the figure for all of 2017). This lies in stark contrast with consumer tech, which has seen relatively few IPOs – not to mention poor results for several that have recently gone public (think Blue Apron (NYSE: APRN), Snap (NYSE: SNAP)). The next evolution of SaaS is all about product led growth. In terms of the companies that do achieve outsized success, most are utilizing an emerging go-to-market strategy OpenView calls product led growth. It’s through this strategy that companies are able to grow faster and with less cash. Let’s examine how product led growth plays out in reality by evaluating two giants in file sharing: Dropbox and Box. Both were founded in the mid 2000s and reached scale quickly. But Dropbox, which pursued a freemium, product led growth strategy, has clearly won the file sharing war. The company generates double Box’s revenue, spends a lower share of their revenue on sales & marketing, and consequently trades for a far higher revenue multiple (9.1x versus 5.2x). As the above example illustrates, our data shows that the best performers tend to follow a product led growth strategy, where the product is central to how these companies acquire, convert, expand and retain users. This allows these companies (in addition to Dropbox, think Twilio, SendGrid and Shopify) to forgo spending large sums on traditional marketing and sales activities. Instead, they rely on the products themselves to supply a pipeline of satisfied users to convert to paying customers. 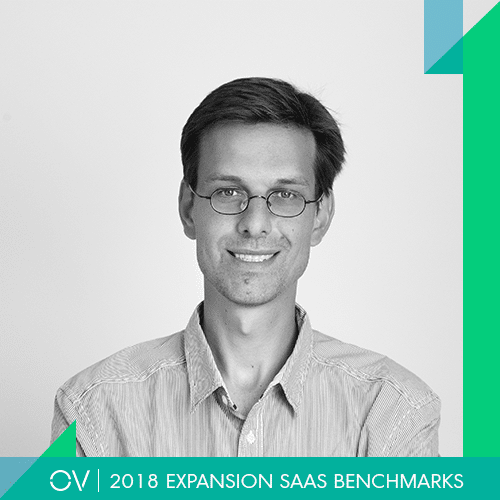 OpenView’s Product Led Growth Index tracks the performance of public SaaS companies that exemplify the aforementioned characteristics compared to the broader SaaS comp set. It’s no wonder then that HubSpot, an early pioneer of content marketing paired with high velocity inside sales, has pivoted its business model towards a more efficient product led growth approach. HubSpot now offers freemium versions of their CRM, Marketing and Sales products and boasts a self-service model allowing users to get started with their product without speaking to a sales rep.
CEO Brian Halligan describes their revamped go-to-market motion as “a flywheel where the customers are the main driver that pulls new prospects in” and boasts that half of HubSpot’s new customers use the free product before they buy. HubSpot then offers up scalable packages and pricing to expand customers as they become successful (ie. add more marketing contacts), run into feature gates, or want to use HubSpot for additional use cases. 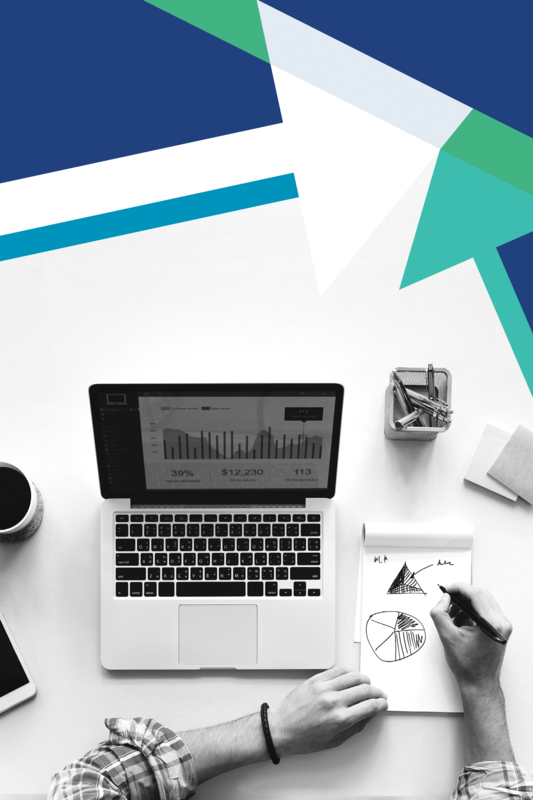 For companies like Slack, Expensify and Dropbox, product usage serves as the primary driver of user acquisition, expansion and retention, meaning these companies can forgo spending large sums on traditional marketing and sales activities. Instead, they rely on the products themselves to supply a pipeline of satisfied users and ‘hand raisers’ they can turn into paying customers. This phenomenon is what OpenView calls product led growth – a capital efficient model through which companies can scale quickly. Want to grow at least 25% faster? Reevaluate your pricing. Now, onto pricing, something we’re pretty passionate about. Why? Well it’s is one of the quickest and most powerful growth levers at a SaaS company’s disposal, yet too often pricing is overlooked and ignored. Thankfully, this year’s survey data makes clear that SaaS companies have finally woken up to the importance of pricing. Nearly two-in-three companies we surveyed changed their pricing in 2017. And it wasn’t only small companies that changed their pricing, either. Even among companies with $20M+ in ARR, a whopping 61% changed their pricing at some point in the last year. For companies that did change their pricing, these changes had a substantial positive impact on revenue growth. Another two-in-five reported a 10-24% increase. Check out our OV BUILD podcast to hear from Chief Strategy Officer Brad Coffey on how HubSpot reinvented its pricing and the massive impact it has had on growth. The next gen of SaaS will come from somewhere you’ve never heard of. Long ago, Atlassian proved that world-class enterprise software companies can be founded anywhere. But, for a while, Atlassian was seen as the exception, not the rule. Fast forward and the internationalization of SaaS has gone mainstream. Australia’s Canva became a unicorn this year, as did Portugal’s OutSystems. And don’t forget the success of other international startups like Shopify (Canada), Klarna (Sweden), Pipedrive (Estonia), Wix (Israel), UiPath (Romania) and RD Station (Brazil) – just to name a few. Of the expansion stage companies that participated in this year’s survey, nearly 40% of those with $1-10M in ARR were based outside of the US. This includes significant representation from Canada, Europe and Australia/New Zealand. The global nature of SaaS isn’t just a trend picked up in our survey. OpenView’s recent investments reflect the rise of international SaaS companies. In the past two years, we’ve invested in Deputy (Australia), Loopio (Canada), Auvik (Canada), Logz.io (Israel), Applitools (Israel) and Pipefy (Brazil). And we expect to continue to back world-class software businesses wherever they spring up. You have to successfully sell into North America to reach scale. 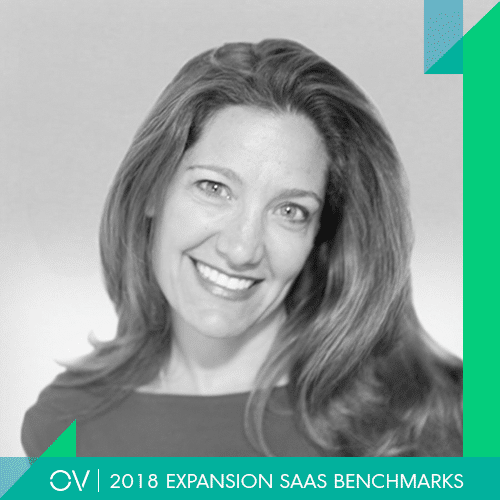 While you can launch a successful SaaS business anywhere, data from our survey makes one thing crystal clear: Companies from North America can reach scale without venturing very far beyond their borders. Even when these North American-based companies do grow beyond $20M ARR, they still generate 85% of revenue from home base. The same cannot be said for companies based outside of North America. That’s triple the figure of companies below $10M ARR. For example, when Spanish AlienVault raised its $8M Series B in 2012, they quickly brought on 7 executives from US-based HP, including a new CEO, to accelerate penetration in North America. Just six months later, AlienVault secured $22M in Series C financing. Similarly, search-as-a-service provider Algolia was founded in France in 2012. Very soon after, they moved their HQ (and their go-to-market hub) to San Francisco while their biggest office, stocked with developer talent, remained in Paris. This hybrid approach has helped Algolia scale rapidly, leading to a whopping $53M Series B raise in 2017. 1. North America spends more on SaaS than any other region in the world. That’s doubly true when you narrow in on emerging technology categories and exclude later stage ones like email, file storage and CRM. 2. Showing traction in North America is vital to attracting funding in the current market. The VCs that write the biggest checks are predominantly based in North America; meanwhile, European VCs mostly focus on seed and Series A rounds. PE is your new exit path. In last year’s survey, we emphasized the need to balance growth and profitability. Companies that end up performing best in public markets, and that are positioned best for exits, meet or exceed the ‘Rule of 40.’ That is, their growth rate plus free cash flow (FCF) margin is at or above 40%. This is more important now than ever given the rapid rise of private equity as an exit path for venture-backed startups. Private equity firms now represent half of software M&A and their pace has doubled since 2014. It’s clear that SaaS startups are taking this message to heart. Companies growing faster than 50% – above the Rule of 40 threshold – are rarely profitable. Among those that grow within the confines of the Rule of 40, more than 40% are profitable. The pressure to reach profitability is especially acute among later stage startups that are presumably preparing themselves for an exit. Of the companies that reached at least $20M in ARR and are inside the Rule of 40, 57% are profitable. SaaS companies are (finally) showing progress on diversity. Research consistently demonstrates that diverse teams are smarter and perform better than homogenous ones. Now there’s even proof that these teams also produce better financial outcomes – something long suspected. Meanwhile, 75% had at least one female leader on their team (i.e. Director-level or above), up slightly from last year’s 72%. Make no mistake, there’s still work to be done. Only 13% of companies surveyed reported full parity between men and women on their leadership team. Just 10% had full parity on their Board – though this figure is more than double last year’s 4%. Several of OpenView’s portfolio companies exemplify this push towards building more diverse teams. Lessonly and Loopio, for example, partnered with the Athena Alliance to hire their first female Board members. In the year of #MeToo, it’s encouraging to see positive – if incremental – improvement in the area of diverse hiring. Now is still a great time to bet on enterprise tech. But the pressure is greater than ever to gain initial traction and successfully sell into North America. May we suggest a product led growth strategy? You’ll likely be rewarded with faster, more efficient growth and a favorable valuation. The bar is higher than ever to succeed, but adopting a product led growth strategy can help propel your success and drive faster, more efficient growth. Changing up pricing can also help boost growth by 25%+. It's clear that you have to sell into North America to truly reach scale, but successful startups can now be based anywhere and succeed. When you do make it big, look to private equity as a new exit option. The tech industry is finally making progress on diversity, but it's still slow going. By enabling diverse employees to reach the highest levels, companies will see innovation and profits increase.